The first Michelin Challenge Design competition themes focused on exploring and celebrating the unique style that each region brings to the automotive design industry. While the first Michelin Challenge Design display was at the 2002 North American International Auto Show, the first juried works were displayed at the 2003 show. And what more appropriate region for Michelin to begin this journey with than exploring the influence of French design? 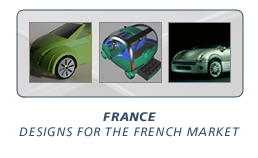 The 2003 display included 12 scale models—some from participant designers and other contributed by Renault—and 11 renderings. French influence on automotive design was also displayed by full-size vehicles, including the Renault Koleos and Vel Satis, the Matra P75, and the Venturi Fetish. 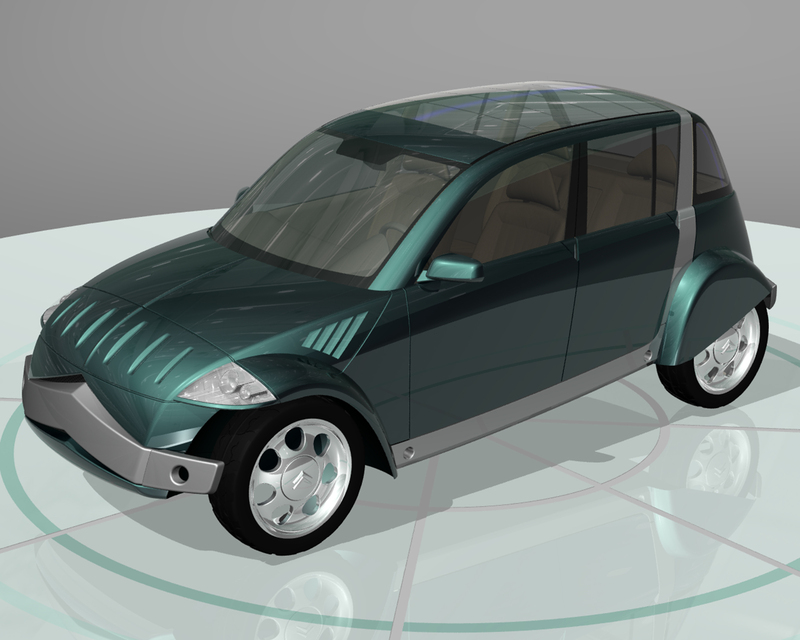 Design Team: Foresee Car Design, Inc.